Upscale home with beautiful ocean views - across street from the beach! Property 51: Upscale home with beautiful ocean views - across street from the beach! Spectacular Ocean Views. Walking Distance to Beaches and Center. Property 55: Spectacular Ocean Views. Walking Distance to Beaches and Center. Property 57: Short walk to Short Sands and Long Sands Beaches! Affordable vacation in York! Property 61: Short walk to Short Sands and Long Sands Beaches! Affordable vacation in York! Property 62: Plenty of room for your family and pets to play! Large Beach House perfect for family vacations by the sea! Property 67: Large Beach House perfect for family vacations by the sea! Doesn't get any better than this! Great property near Short Sands. Property 68: Doesn't get any better than this! Great property near Short Sands. Newly Renovated -Spacious Home- A Block From The Beach! Property 73: Newly Renovated -Spacious Home- A Block From The Beach! The Mad Mermaid-Charming York Beach ME Cottage. Property 74: The Mad Mermaid-Charming York Beach ME Cottage. Flip - Flop Apt -One level family & pet friendly 7 minute walk to Long Sands! Property 76: Flip - Flop Apt -One level family & pet friendly 7 minute walk to Long Sands! Property 82: Multi-family beach cottage #1. Just STEPS to Long Sands beach! Longs Sands Beach Cottage and Bunkhouse Newly Renovated Walk to Beach! Property 83: Longs Sands Beach Cottage and Bunkhouse Newly Renovated Walk to Beach! Property 84: Oceanview home with a roof terrace and deck, just a short walk to the beach! Property 87: Beautiful large home on the Nubble with Water views throughout! 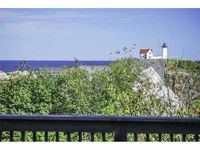 Enjoy this great home in York Beach with Ocean views on the Nubble! 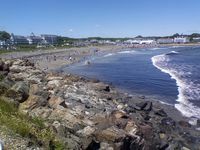 Property 91: Enjoy this great home in York Beach with Ocean views on the Nubble! York Beach Oceanfront Cottage: Steps from Short Sands! Property 92: York Beach Oceanfront Cottage: Steps from Short Sands! Property 93: Short walk to Short Sands and Long Sands Beaches! Affordable vacation in York! Quaint & Cozy Maiden Voyage By The Sea , Steps from the ocean!! Property 96: Quaint & Cozy Maiden Voyage By The Sea , Steps from the ocean!! 3 minute Walk to Short Sands beach and downtown from your vacation home! Property 97: 3 minute Walk to Short Sands beach and downtown from your vacation home! Across From Short Sands Beach! Property 100: Across From Short Sands Beach! We spent a long weekend at this rental as we had to attend a wedding. The owners were very nice and helpful. The rental was perfect for us it was clean, comfortable and had everything we needed. My grandchildren simply loved it and didn't want to leave. The location was perfect, as we were able to just walk to our wedding venue. We had a very special stay. Thank you for sharing your lovely home with us! Location, location, location!!! Morning views of Nubble Light were spectacular! The house had plenty of room for all of us and all the items we needed for staying in and cooking for all.